Hey peeps! 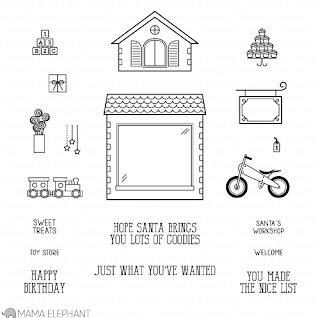 It is the last day of the Mama Elephant October release highlights and hasn't it been fun? The last set to highlight is the holiday set, Toy Shop! 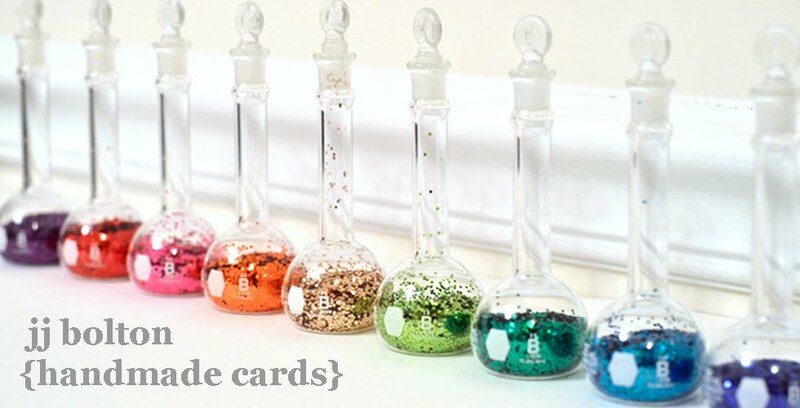 There are so many elements in this set that it will definitely go WAY beyond the holidays! That said, I just couldn't resist putting together a holiday card with the Santa from Cozy Christmas. Santa is checking his list, so I hope you were good this year! (P.S. The "list" is just a piece of copy paper that I trimmed and curled up with a pencil) I love how all the toys look stamped in white on kraft! All the toy stamps are from the Toy Shop set except for the bear who is from Nursery Deco. Definitely go visit the other DT blogs to see the fun projects with Toy Shop! DUDE!!!! that card is AMAZING!!!!!!!!!!!! the background you created on the kraft paper is perfect! i would BUY that patterned paper! lol!! but your santa and his list STEALS THE SHOW!! i am in LOVE with that idea!! how amazing!!! wow!! you just made my day with this card!! it's so incredible!!! Love that rolled up list...cute patterned paper you created too! Love the stamping on the background and that great list he has! OMG that list! LOVE LOVE LOVE IT! You are so clever, JJ! 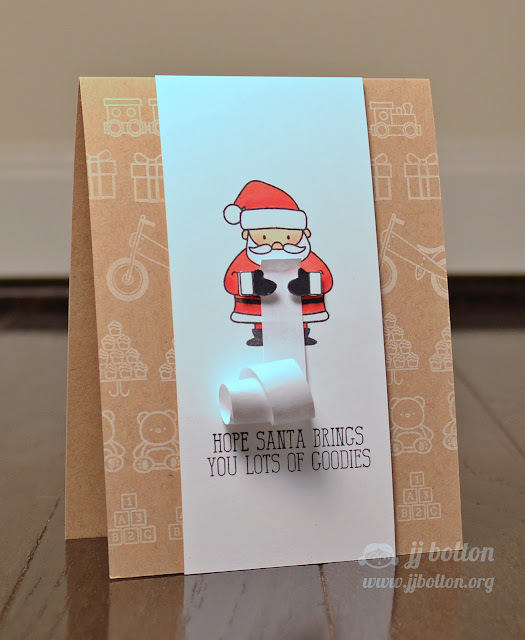 I love how you stamped the toys...white on Kraft is so fab! 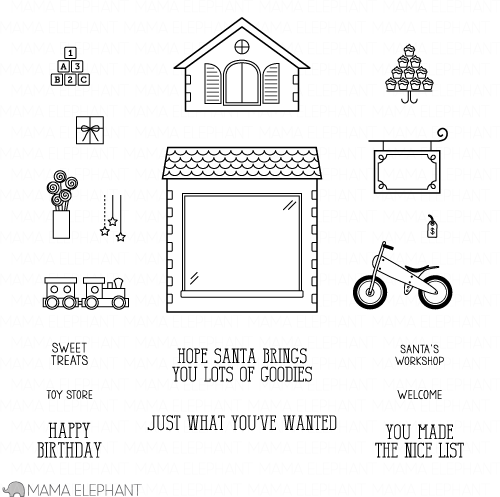 Love how you created his 'list' and of course, your beautiful coloring...such a FUN card!!! This is THE cutest thing! Very clever! This is such a clever card! Love it! Absolute genius. Genius!!!! I LOVE this card so so much!!! Love this JJ! So Amazing!!! Love it! Your card are so much fun JJ. Excellent !... Love your card !